The London On Water Boat Show has been renamed, rebranded and relaunched as London Yacht Show and will take place on-water at St Katharine Docks this May 8 - 12th 2019. Previously known as London On-Water Boat Show, the renamed London Yacht Show will fill the requirement for manufacturers and dealers who attract high-end net-worth customers. This unique event will deliver a great platform to showcase their models, on water, in the City of London. 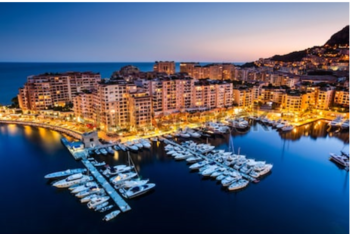 The Yacht show market is not new to the Informa business which has a portfolio of world-class maritime events including the prestigious Monaco Yacht Show in Europe as well as the Fort Lauderdale International Boat Show and the upcoming Miami Yacht Show. Williams added: “St Katharine Docks is perfect for such an event and we will continue to work with this iconic setting which is steeped in heritage and truly unique". 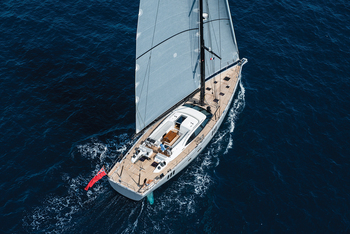 As part of its relaunch, London Yacht Show will open on the Wednesday for an exclusive VIP Elite function and press afternoon which will give guests the opportunity to preview the over 60 yachts and boats on display. St Katharine Docks will host two floating villages with full-size event marquees including a Platinum Pavilion, featuring luxury yachting and lifestyle products and a Monument Marquee, featuring marine ‘toys’ and boating accessories. The Docks’ Marble Quay will also feature a parade of supercars, bikes, trailer boats, and VIP ticket holders can also enjoy a floating champagne bar; in addition to a VIP Lounge and Concierge service. The London Yacht Show will open: Wednesday 8th: 2 pm – 9 pm (VIP Elite & Press Only) – this is the pre-show viewing for VIP Elite pass holders only. Visitors can purchase tickets to attend: Thursday 9th: 11am – 8pm; Friday 10th: 11am – 8pm; Saturday 11th: 10am – 6pm and Sunday 12th: 10am – 5pm. For further information, contact: Emma Howell, Head of Marketing, London Yacht Show. Tel: 01206 201552 and email:emma.howell@ubm.com. Informa Exhibitions, the global exhibitions division of Informa PLC, enables communities across the globe to engage, experience and do business by providing them with powerful platforms to connect across key regions and market verticals. Industry insight, coupled with an innovative and customer-first approach, provides Informa Exhibitions’ customers and partners with the opportunity to create business advantage and access markets, both digitally and face-to-face, 365 days of the year. For more information, visit https://www.informa.com. Iconic St Katharine Docks is Central London’s only marina and has evolved into a thriving waterside community featuring modern and unusual office space, luxury homes and quayside dining and shopping. A stone’s throw from the Tower of London, the site has a fascinating history and recently celebrated its 190th anniversary. Opening in 1828, the Thomas Telford-designed dock was once one of the busiest ports in the UK, renowned for handling luxury goods, sugar, rum, spices, perfumes, wines, and tea. Today, St Katharine Docks is home to a range of leading companies and brands including WeWork, Sectorlight, Dokke, Emilia’s Pasta, Bravas Tapas and artisan coffee shop White Mulberries. Every Friday, the Docks hosts the popular KERB St Kats Food Market, serving some of the capital’s best street food. 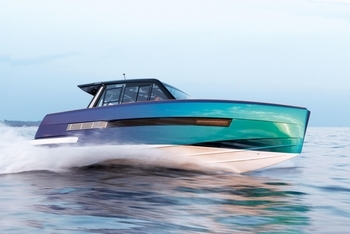 FJORD 44 Coupé wins ASIA BOATING AWARD 2019! 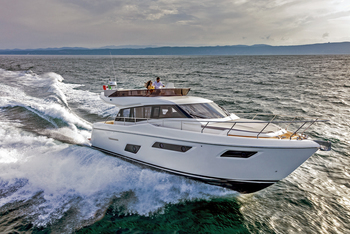 At this year`s ASIA BOATING AWARDS, the FJORD 44 Coupé was honored as “Best Recreational Boat” in her class.